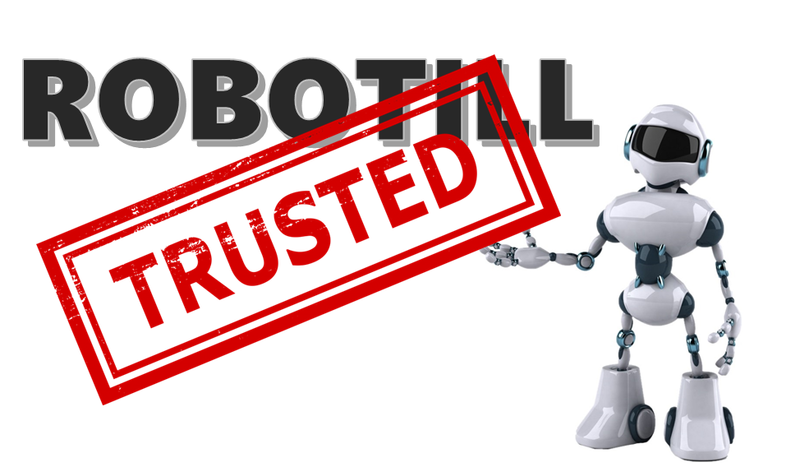 We sometimes get questions from our customers like the following: 'Can I trust ROBOTILL, I don't see a physical address or telephone number on the website?' 'Is this a scam? Your prices and free support is to good to be true', 'How long will you be in business for?' etc. ROBOTILL is a registered company, ROBOTILL (Pty) LTD with registration number 2018/094896/07. We only registered in February of 2018 as a private company (PTY LTD) but have been trading as a partnership for several years before that. If you click on the archive link in this blog you will see ROBOTILL was started in 2012. 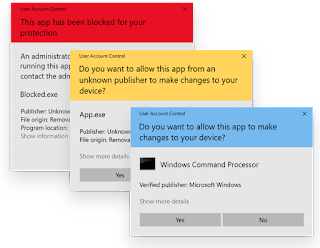 When you download and install our software you will notice the blue UAC message pops up (the same one that pops up when you install Microsoft software) to notify you that the software can be trusted instead of the yellow (Unknown Publisher) or red (malware) UAC message (see the image below if you do not know what the UAC message is). That means we have registered with an international certification authority that have verified our business and that our software have build up trust with Microsoft. 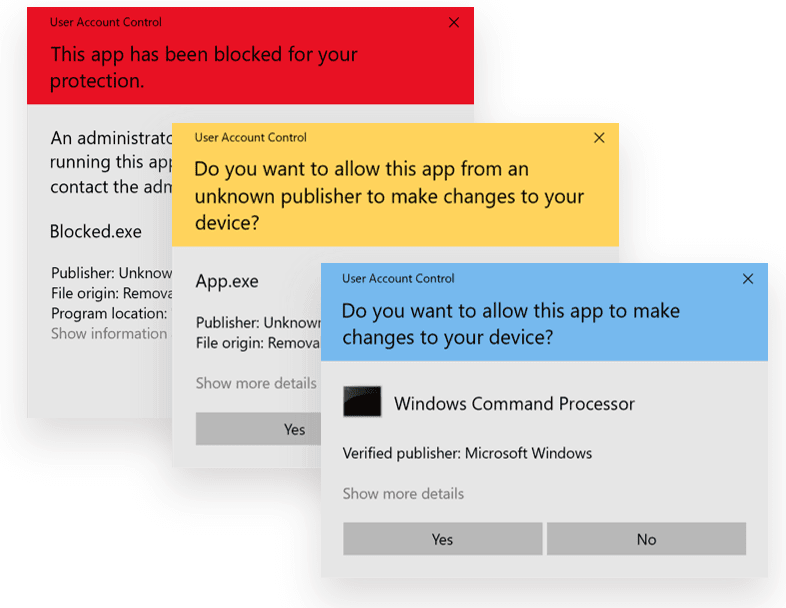 It is not enough to just register with a certification authority - even if the process of registering with the authority is already strict - once your software is registered with the certificate authority, it is monitored by Microsoft for a period before the software passes through Microsoft SmartScreen. Some of our older customers will still remember the days when they got the 'Publisher Unknown' message when installing ROBOTILL. We have chosen to only do email support. We also connect remotely to a customer's computer if needed. There is however no telephone support - not for support or sales. ROBOTILL is offered at a price that our competitors cannot beat. Our yearly licence for the software is less than what most of our competitors charge for support - and our support is free! We are able to give free support and charge the low licence fees because of our unique business model - we keep our overheads to a minimum in various ways. One way we do it is to only do email support. An email support center requires much less personnel than a telephone support center as the work load can be spread through the day instead of having enough personnel on 'stand by' for peak periods. The workload is also less for email support - a customer is more likely to quickly search our comprehensive online help before typing an email. The email support policy gives our employees the option to work flexitime - better for us as we have international customers in many different time-zones. As with any registered company we do have a registered address. The address however is only used for legal purposes. For the same reasons we don't have a telephone number on our website, we also do not have a physical address - but there is more ... ROBOTILL is a company with a vision of the future. Instead of having physical offices we have a virtual, global office. We have spend a lot of money and time developing a state of the art custom system to manage our employees, customers, ROBOTILL licences and more. Our system (called JARVIS) uses a cloud server and have been designed and developed especially with our virtual office in mind. We also use other tools like Google's GSuite so that our employees can be in different locations but still collaborate and work as a team. Having a virtual office is not a temporary state until we get bigger - it is our vision for the future. Our virtual office is international and agile with unlimited growth potential. It helps our development and support teams - time traveling to work can now be used to work. Pointless meetings are replaced with collaboration tools to help the team work together and be much more productive and effective. Employees feel part of the team but still have the independence to work in the environment and location of their choice. Our virtual office is better for our customers - although there were significant initial costs setting up the virtual office - in the long run our overheads will be less - that means we can keep on giving free support and offer ROBOTILL at a very low price. It is even better for the environment - employees not needing to drive to work every day and a 99% paperless office helps the environment. Some potential customers look at our low prices and 'free support' and think it is too good to be true. We have had emails asking if it is a scam. The only potential customers that ask that questions are customers that only looked at our website and haven't installed our free edition yet.